Steven ‘SvZff’ van Zadelhoff is the #3 player in the Worldwide Rankings and #1 overall in his adopted country of Malta. The island off the coast of Europe is home to other poker players who call the former European Poker Tour stop their home away from home. The mixed bag of cultures makes for an eclectic top 10.
van Zadelhoff owns a gargantuan 9,068 PLB points. Ever since winning the PokerStars WCOOP Main Event in September, van Zadelhoff has remained a constant presence among the top of all rankings. Between December 22-29, van Zadelhoff was the #1 ranked player in the world for the first time in his career. There is a substantial drop off between van Zadelhoff and second place players ‘neverfoldQ5.’ This player reached their all-time high ranking of #64 in the world a few weeks ago and is the current #66. ‘neverfoldq5’ earned 200 PLB points on January 19 for capturing the $40,000 guaranteed Uppercut title on partypoker. Pim ‘joppiesaus’ de Goede starts the string of four consecutive players in the 4,000 point range. de Goede is a Dutchman like van Zadelhoff and claimed an all-time high ranking of #25 in 2016. At the start of 2018, de Goede climbed over $3 million in lifetime tournament earnings. Former worldwide #2 Bjorn ‘kleath’ Kleathersson is in at #4. An American poker refugee from the post-Black Friday world, Kleathersson is #19 all-time in winnings with $8.277 million. 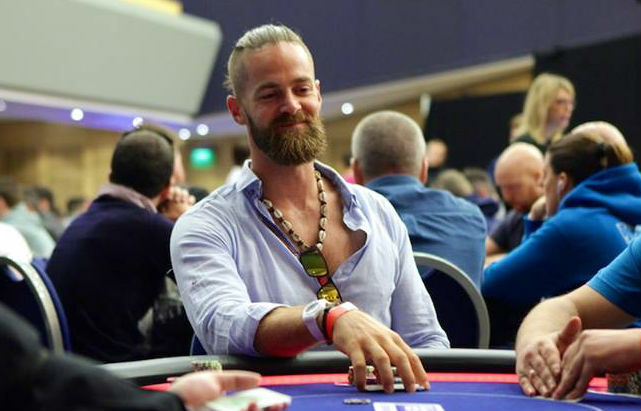 Kleathersson finished second in both a TCOOP and SCOOP event in 2017. Malta is home to a ‘ZeelandBoy.’ The PokerStars exclusive player finished January strong with a bronze medal in the Big $109 and Hot $109 on back-to-back days. ‘wisoooo’ rounds out the 4,000 point group. On January 28, ‘wisoooo’ placed ninth in the Sunday Bounty Builder and collected 133.79 PLB points. All nine of the highest achieving performances for ‘wisoooo’ have come in the time since September 2017. The next tier of players starts with ‘silenzio0.’ This micro and mid-stakes player won a tournament in both realms in January. ‘silenzio0’ shipped the $2,500 GTD Turbo Fiesta on 888poker and the $82 NLO8 on PokerStars. Not so sloppy ‘clods’ made a leap up the rankings in January. ‘clods’ took down two Winamax W Series events. The first being the 5,726 entrant Monster Stack event for $12,818 and 277.19 PLB points on January 10. The next was the Zone 30 Championship where $21,604 went for first place. Timothée ‘tictac04’ Marlin sits in ninth and ‘M4mbaNegrA’ completes the top-10. Marlin is a mid-stakes player who puts in a strong amount of volume and ‘M4mbaNegrA’ is paying the micro-stakes dues.